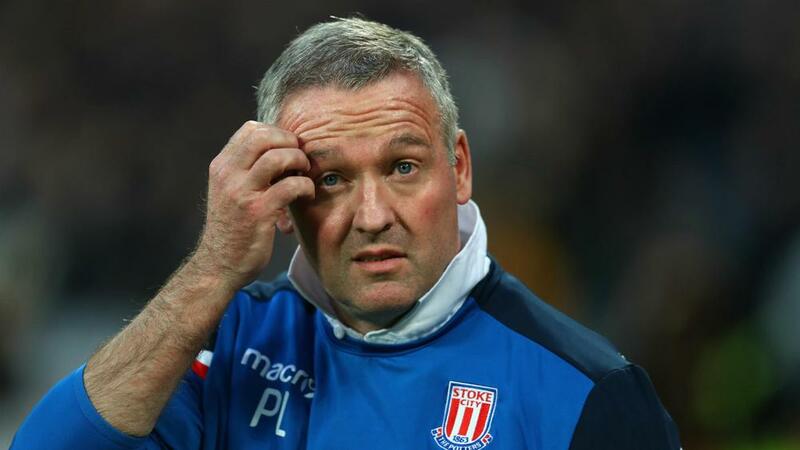 Paul Lambert is not giving up hope on Stoke City's chances of staying in the Premier League despite Andy Carroll's late volley snatching West Ham a 1-1 draw. Stoke looked set for their first win since January when Peter Crouch came off the bench to force in the rebound after Joe Hart failed to gather Xherdan Shaqiri's drive. But another substitute ensured the spoils were shared at London Stadium on Monday, Carroll turning in Aaron Cresswell's centre in the 90th minute to move West Ham seven points clear of the drop zone. Stoke, meanwhile, are five points adrift of safety with only four games remaining, one of which is away to Champions League semi-finalists Liverpool, but Lambert stressed the Potters' performance levels suggest positive results could be coming soon. "It is a blow because we were so close to winning," Lambert told Sky Sports. "We were excellent and had really good chances. "We had good chances for an away team but I know they had a couple of goals disallowed too. It's a great finish from them but I can't ask any more from my team. "We were very good with some very good moments. We're willing to fight and we have got the supporters behind us. If we get a win on Sunday [at home to Burnley] it puts the cat among the pigeons. "As long as we don't give up, keep that level then we're right in the fight. We're playing well enough and I'm really proud of the team. "I have great belief and we've had some good games but we've been really unfortunate. I've never really had a problem lifting them - they have been a credit to the club, doing everything to stay in the league. I came in late, but I'm absolutely loving it and willing to fight." Referee Michael Oliver disallowed three West Ham goals - two for offside and one for a Carroll handball - with David Moyes feeling his side had done enough to claim all three points. "I thought we should have won, we played really well," Moyes told Sky Sports. "I was surprised we went behind as I thought if anyone went ahead it'd be us. "We did some good things, we just needed something different up front, Marko [Arnautovic] didn't quite produce that tonight. "All the subs who came on made a big difference and helped, we've not had that a lot this season so we're glad to have them back. "We didn't need to make subs as the team was playing well and we were dominant. Stoke have been losing a few late goals so I thought we could get one, but after we went down we had to find a different way of doing it. "I've seen a couple of them [disallowed goals] and they look the right decision, I've not seen the one by Andy but the referee has done a good job. "A good point in the end as we could have come away with nothing after going behind. Let's hope we can try and do that again, it won't be easy but performances are getting better. We've just had a win and two draws."